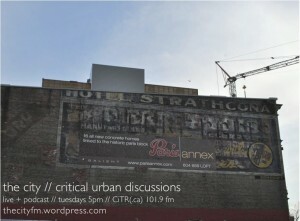 This podcast is dedicated to the life and work of urban scholar-activist Neil Smith who passed away on September 29th. Neil vocally advocated for everyone's right to the city. His writing and activism centred around struggles for social justice in the city. We honour and recognize Neil's life and work by hearing a critical talk he gave in September 2010 - "Urban Politics, Urban Security" - at Harvard University. The podcast begins with a reading of Jeff Derksen's article, which describes Neil's strong Vancouver connection.